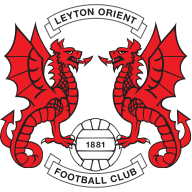 Leyton Orient secured a place in the play-off final after a 2-1 win over Peterborough completed a 3-2 aggregate success. Leyton Orient endured a nervy finish to secure a place in the Sky Bet League 1 play-off final. Tricky winger Dean Cox emphatically converted the rebound from his own free-kick to give the Os the lead for the first time in the tie on the hour mark. Chris Dagnall then looked to have put the tie beyond Peterborough's reach, smartly slotting home after excellent work from fellow substitute Shaun Batt. However, the visitors had other ideas, with Conor Washington putting Posh back in the match and setting up a nervy finish in added time. Goalkeeper Robert Olejnik was up for two Peterborough corners, but Orient managed to hold on, sparking wild scenes of celebration, with their dream of Championship football very much alive. A goalmouth scramble in the opening minute of the game followed an Olejnik flap at a cross and almost resulted in a dream start for Orient. The home side piled in to try and force the ball home but Olejnik managed to get back to smother. Some excellent build-up play from the home side saw Cox deliver a cross into the box for Kevin Lisbie, but the veteran striker could only head the ball over as the home side pressed for the game's opener. The visitors offered very little throughout the opening period, and were reduced to shots from distance, none of which troubled Jamie Jones in the Orient goal. Lloyd James did test Oleknik after 35 minutes, but the Austrian stopper was equal to it, palming the ball away to safety. It was just as tight after the interval, with both sides again restricted to long range efforts, none of which causing any problem to either goalkeeper. Then, on the hour mark, Orient won a free-kick right on the edge of the box, which Cox took, saw his powerful strike cannon back off the wall, but was alert to volley the rebound past a stranded Olejnik, much to the relief of majority of Brisbane Road. Substitute Batt really should have sealed victory with 20 minutes left, but his side-footed effort when through on goal was easily saved by Olejnik down to his left. However, Batt made up for that miss, setting up Dagnall for the all-important second goal, speeding down the right flank, delaying the pull-back perfectly, allowing Dagnall time to control and slot into the bottom corner. The home side looked to be in control, but Washington scrambled the ball home to set up a nervy finish, with the drama far from over. 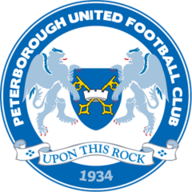 Two late corners brought 'keeper Olejnik forward, but it was Posh's Craig Alcock who will be disappointed, missing a great chance to equalise with almost the last kick of the game, electing to go with his knee, looping the ball over the top from close range. With Preston or Rotherham to come at Wembley, second-tier football could await the London outfit for the first time in almost 20 years.